Fall Protection systems reduce risk whilst working at height in various business sectors. 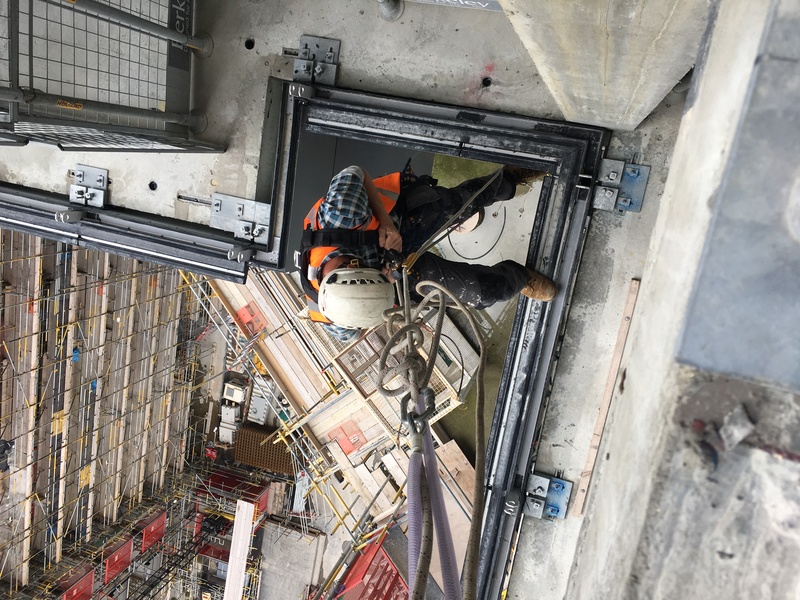 Organisations have a health and safety responsibility for the welfare of employees whilst working at height ensuring that the correct system and training is in place. Apex Access Group offer installation of fall protection systems such as horizontal lifelines, temporary or fixed. Once a system has been installed organisations have a legal responsibility for the testing and maintenance of the System in place. Apex Access Group can organise the testing of fall protection systems such as anchor bolts and mansafe systems. Apex Access Group can use such systems for building maintenance projects for example roof / gutter cleans practising work restraint and fall arrest methods. Apex Access Group are based in the East Midlands between Manchester, Sheffield and Derby installing, testing and maintaining fall protection systems nationwide. We also offer a free quoting service across the UK.